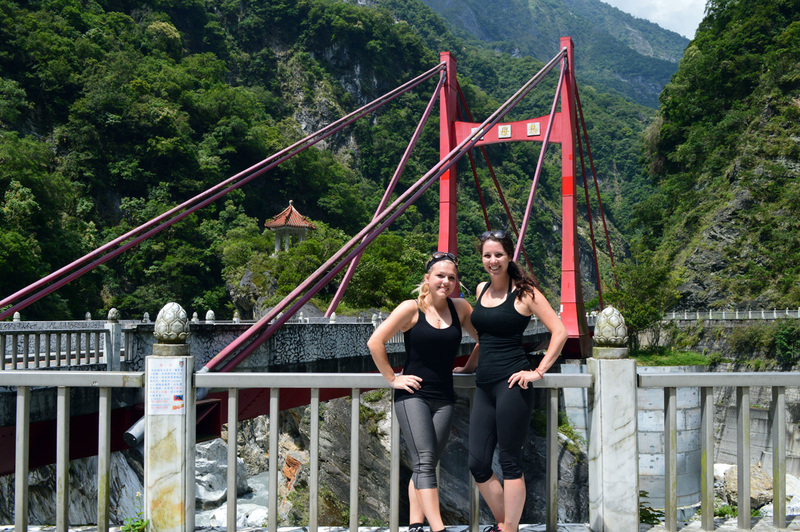 My best friend had just flown into the Taoyuan International Airport and I was more excited than ever to show her around this beautiful island. It’s one thing to see a country from the tour bus eye view, but it’s another when you travel by scooter with a tent, two backpacks and two extremely excited girls! 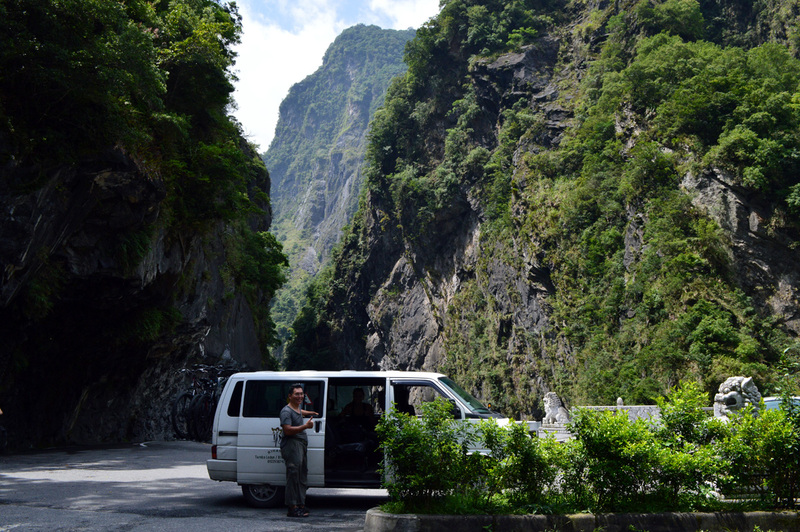 On our way out to Taroko Gorge we made a few stops at some really pretty spots along the east coast. 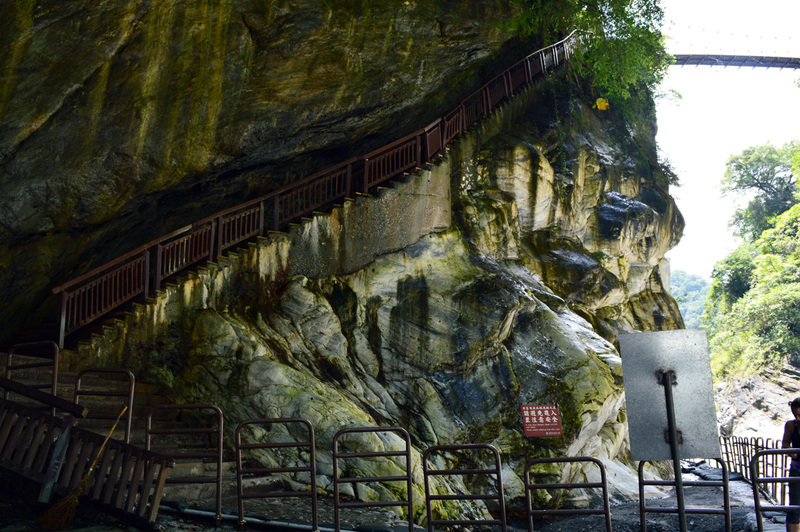 Above you’ll find the Wufengqi Waterfall, a tourist destination but a beautiful one at that. 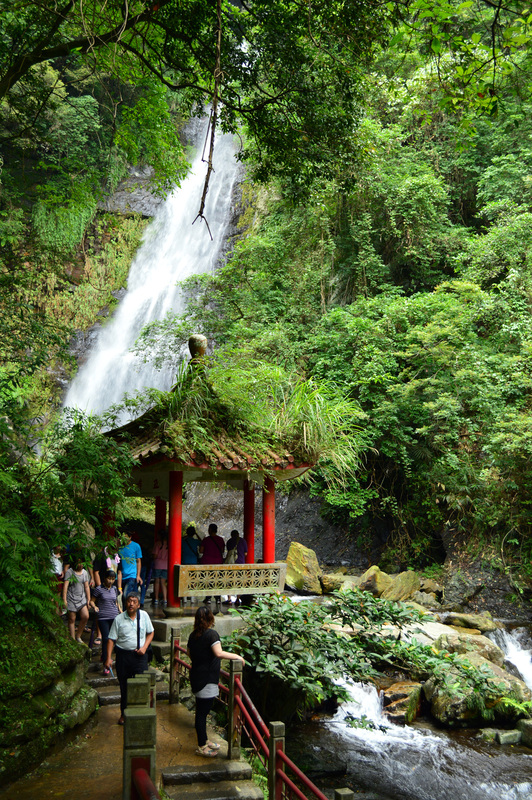 I’ve known people who have jumped into these falls and tip toed across the caution tape. My friend and I did jump the boundary lines to sit on the rocks in front of the waterfall, and it was the most calming 5 minutes sitting there listening to the water crash into the river. However, if you do this.. BE CAREFUL! 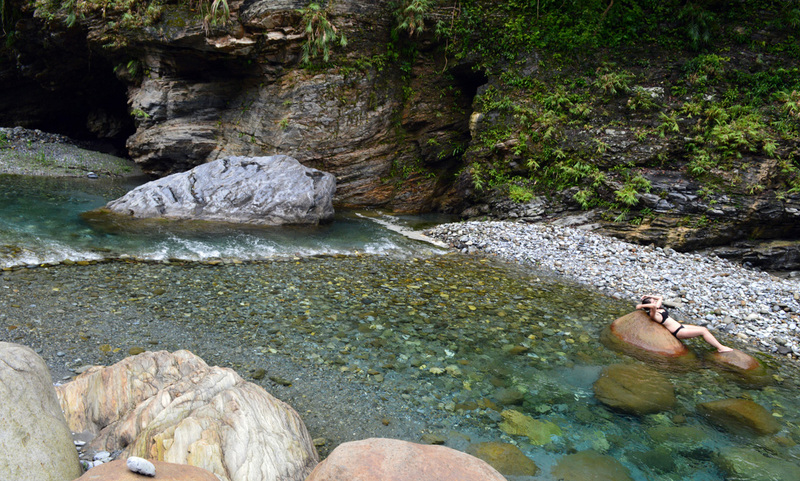 The rocks are slippery and you have a high chance of falling on the rocks and into the water. 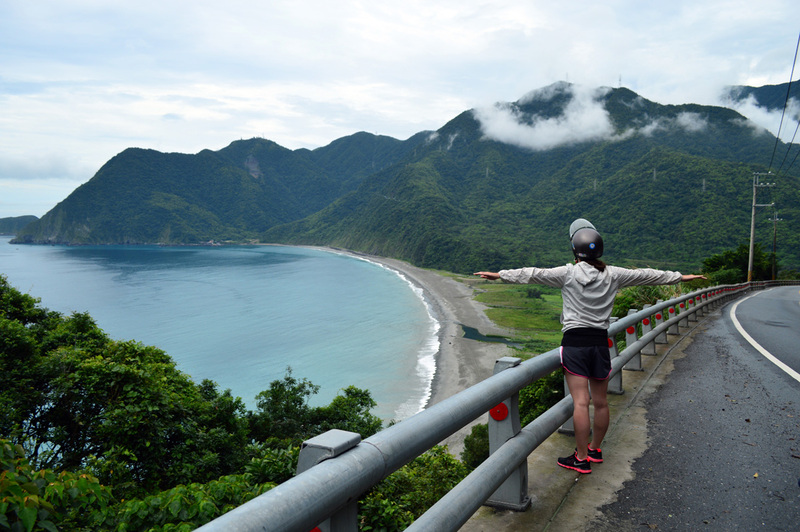 Above is Nanfang’ao beach in Su’ao. We camped with some close friends of mine here and had an absolute blast. 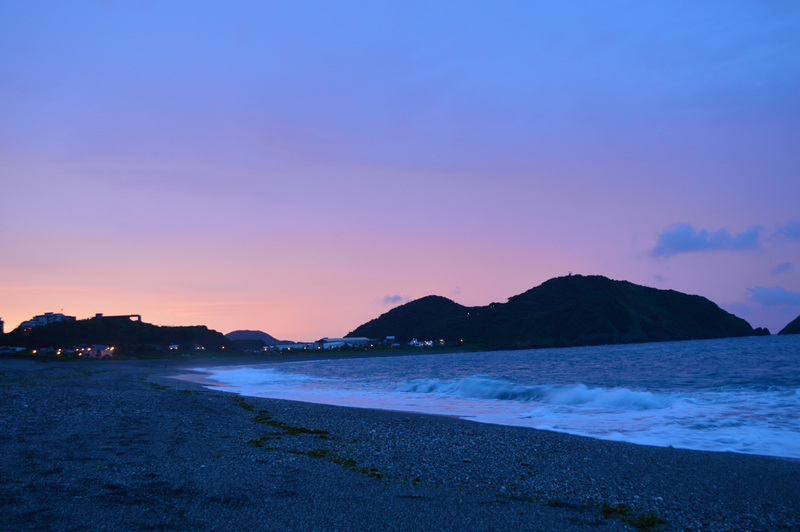 It was a really beautiful, secluded beach that offered colorful sunsets and cafes. There’s a large rock that we set up camp behind to block the winds and a corner for a small bonfire. That night was actually pretty crazy. 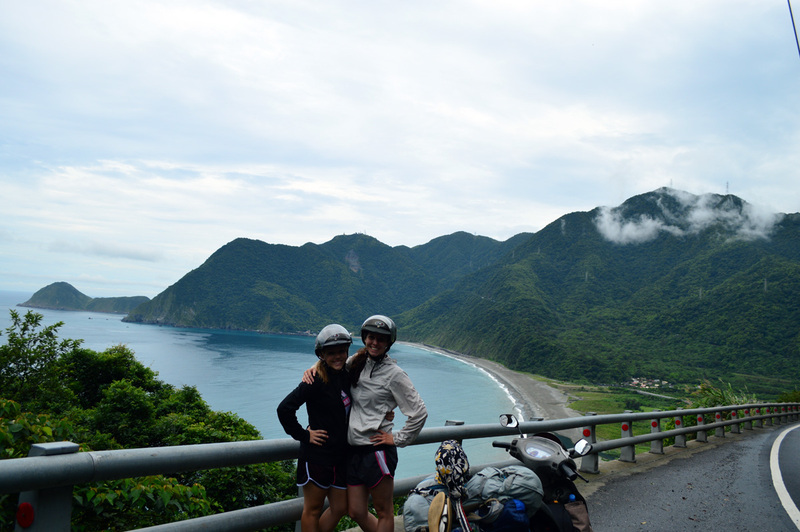 A typhoon was happening in southern Taiwan so we had the chance to experience extreme winds and rain while on the beach. Pretty sure I woke up multiple times laughing because I was sure we were going to blow away. But that’s a story for another time! We made it! 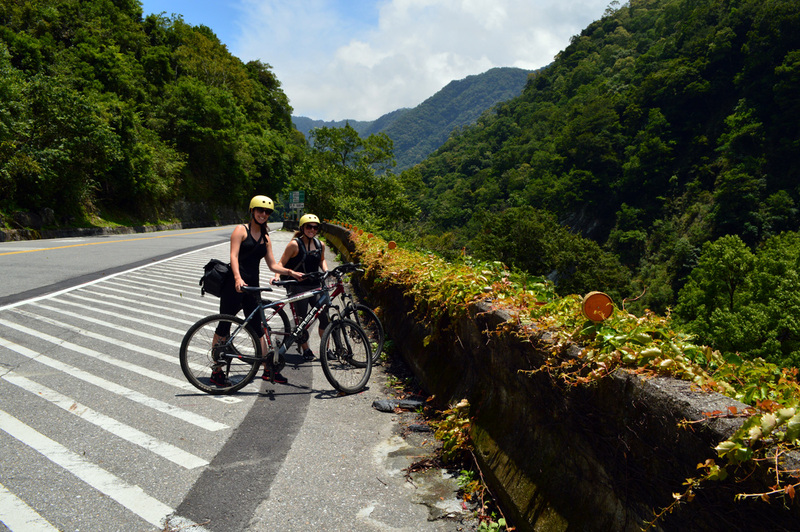 Our first night in Taroko Gorge we were super tired and just slept to rest up for a full day of biking through the Gorge. 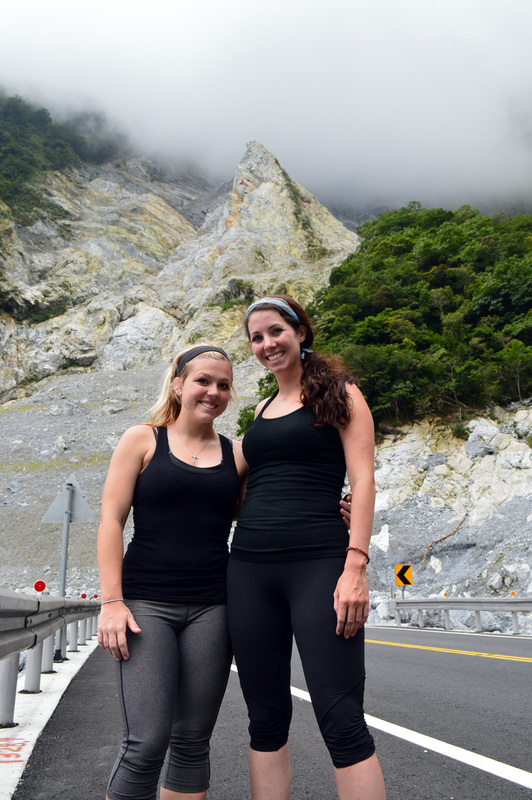 The start of our day began with a early van ride up to the top of a mountain where all the main attractions are. It was beautiful and really nice to see all the spots that we could stop at on our way down. 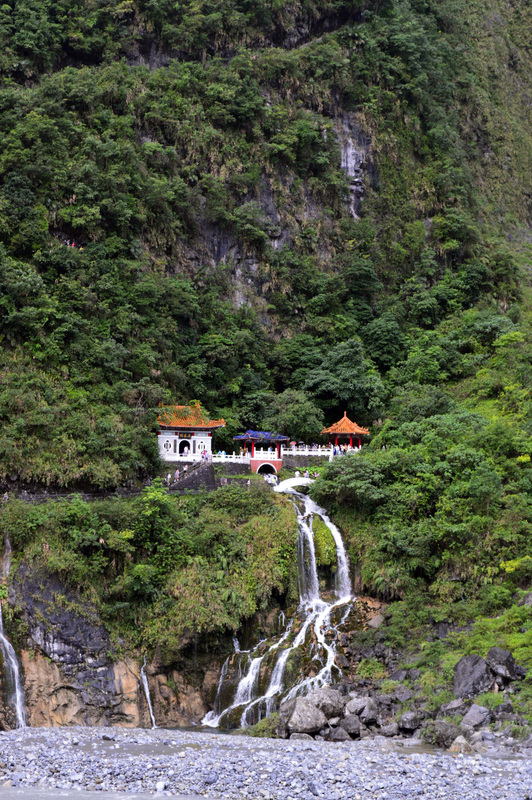 These hot springs were tucked along the mountainside and river. 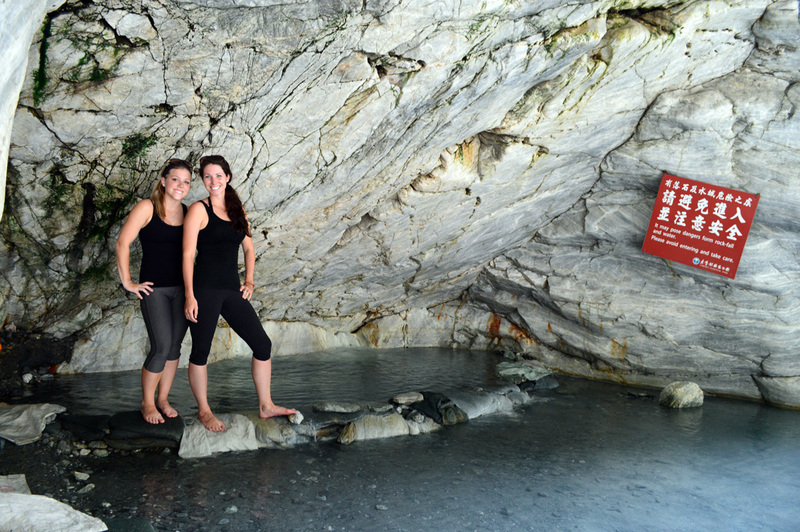 Even though it was June, the hot springs felt amazing to just soak your feet in and watch the running water from the river. 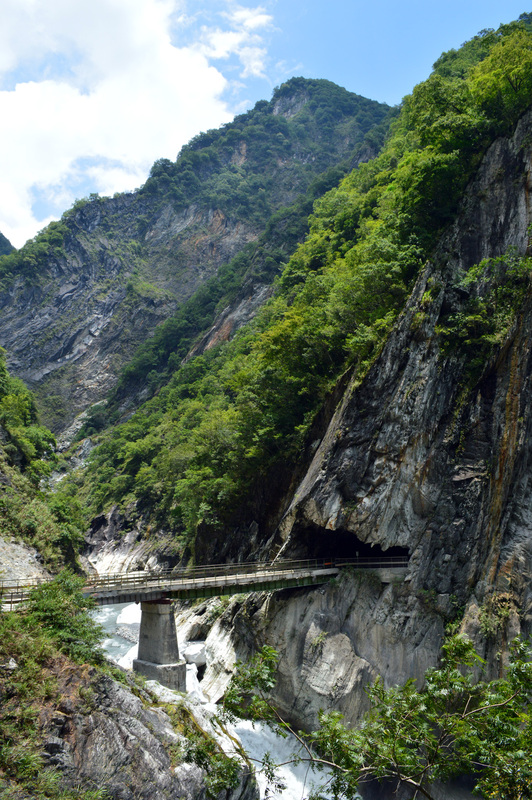 Notice the red sign on the right that says “Please avoid entering”, you can still enter the hot springs but do take care because Taroko Gorge is known for many rock slides and falling rocks. 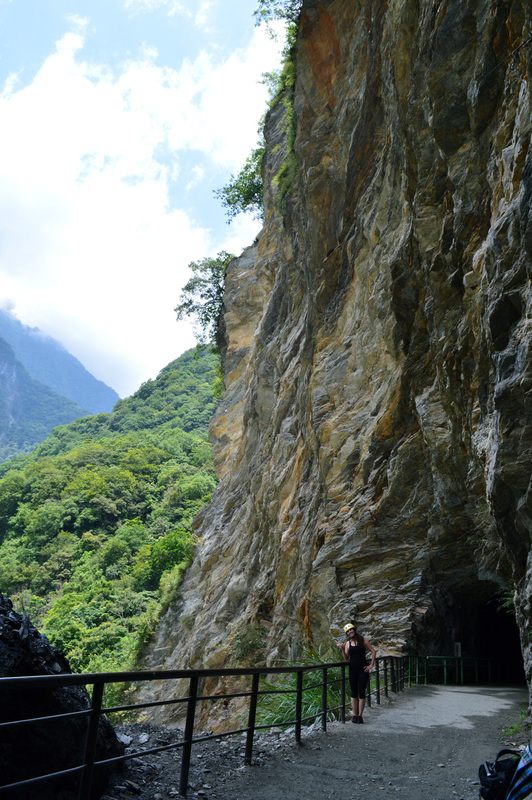 This was a side road off the path to the Curtain Waterfall. 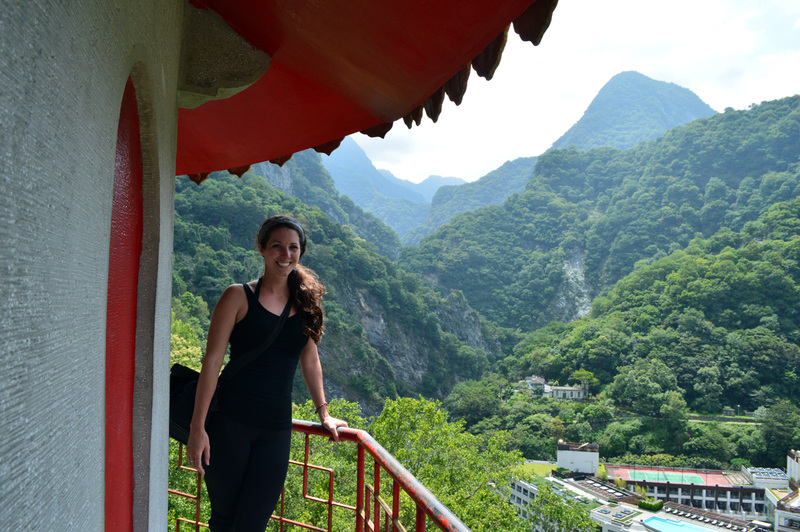 I’m so glad we took the time to check this out because the views were pretty amazing. 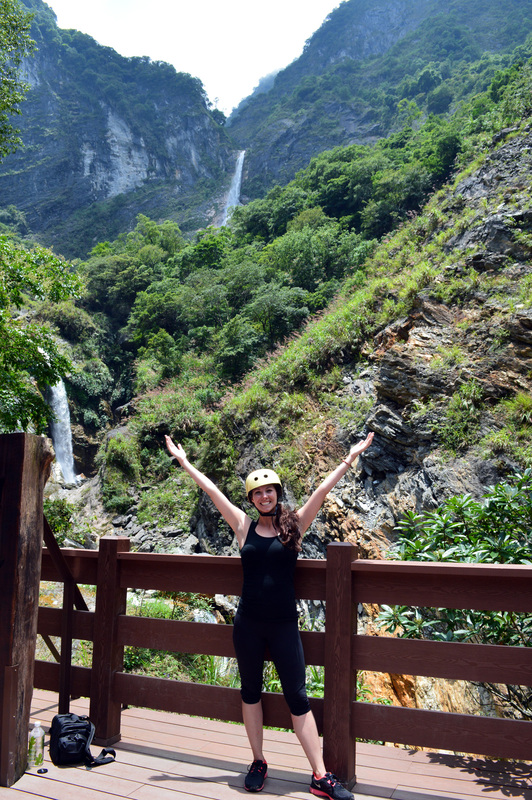 If only I could figure out how to get up to those waterfalls. Next time! 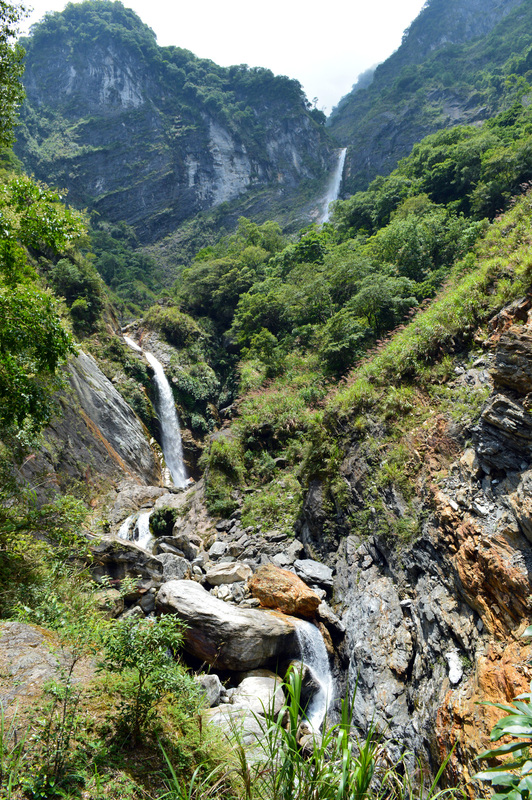 Above is the Curtain Waterfall. It’s extremely hard to take pictures here but of course I tried anyway, and got an epic shot of me “drinking” the water. I almost didn’t take my camera into the falls because everyone warned us about how dark and wet it was, but I’m so glad I did. 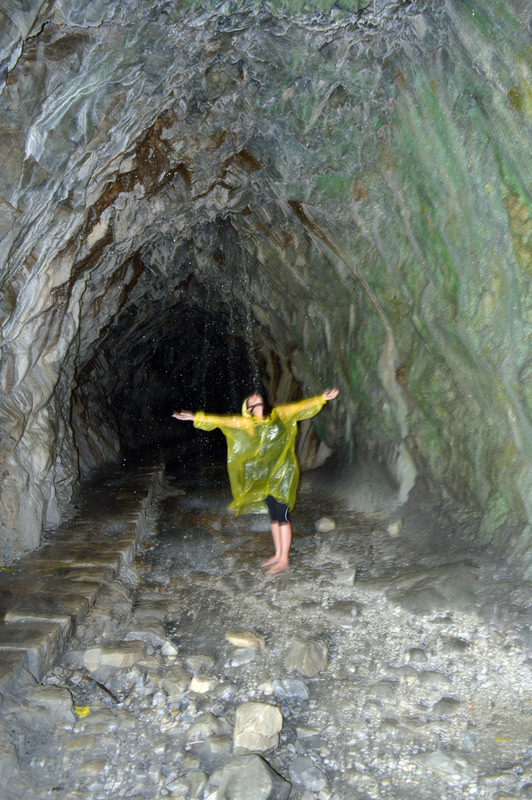 Note to self: bring a flashlight and large plastic bag next time to help get through the tunnels and keep your camera dry. This area has potential for bad experiences. 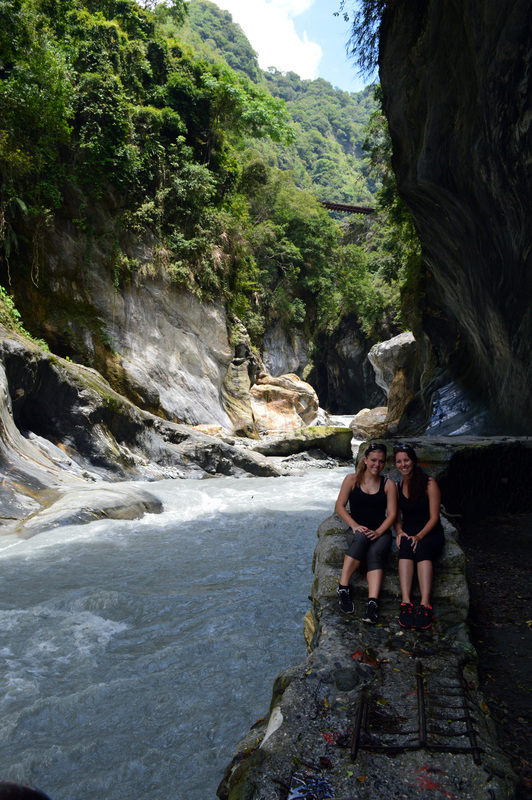 We found this place to be super cool and an easy hike. 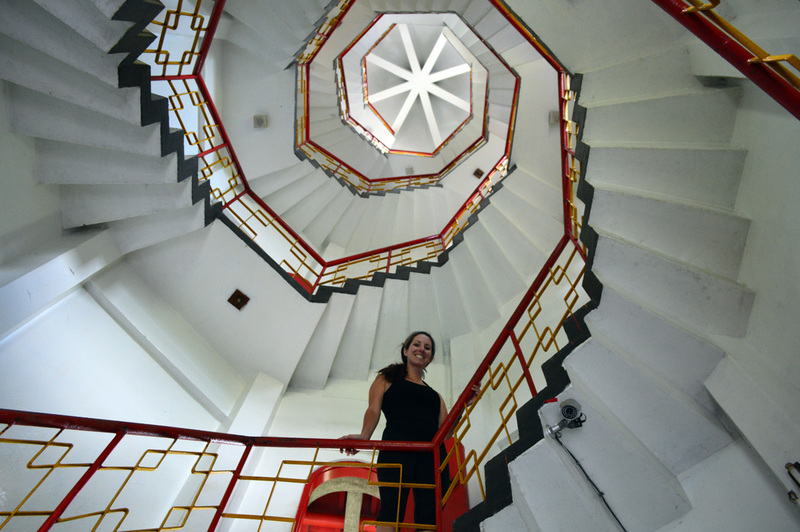 I really enjoyed the spiral staircase and photo op at the top of the temple. 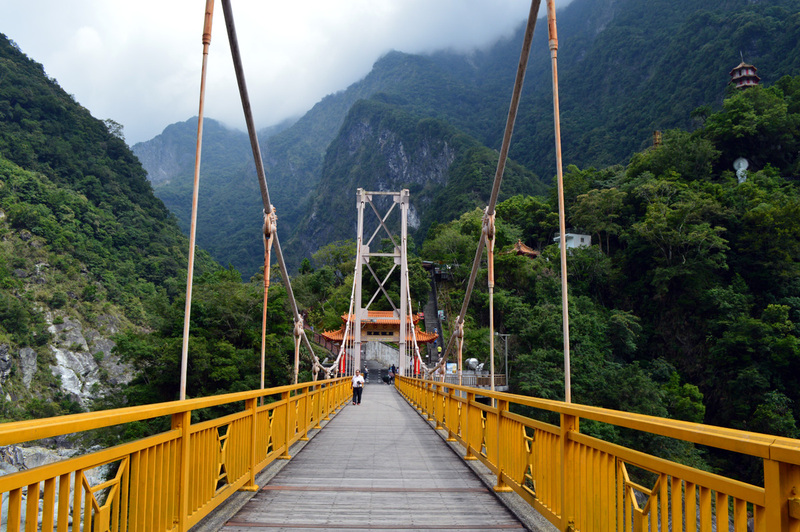 Not to mention this bridge is pretty awesome, too! The Eternal Springs Shrine was really pretty and extremely easy to find! 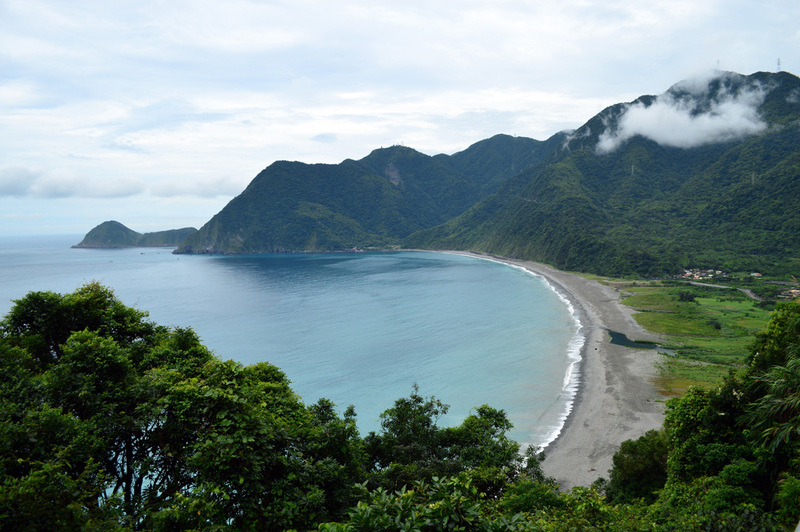 Although we didn’t hike to the shrine, it was just as gorgeous from far away. 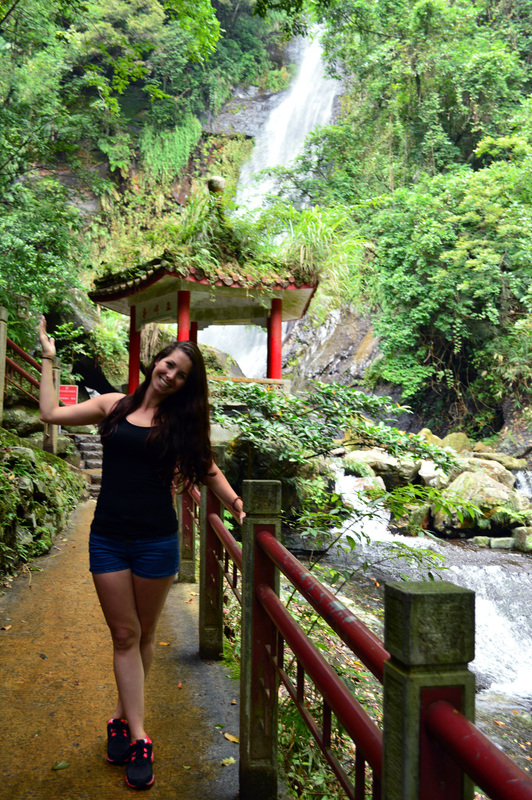 Right before we got on the road back to Keelung we stopped at this beautiful swimming hole. The water was crystal clear and extremely serene. I wouldn’t mind spending a few hours in this spot reading a book and taking pictures. 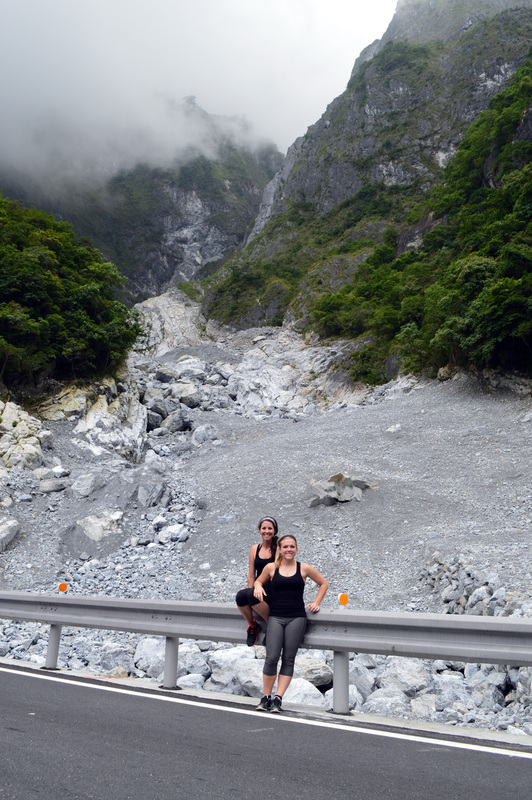 Have you been to Taroko Gorge and have any advice for future travelers? If so, please share below! 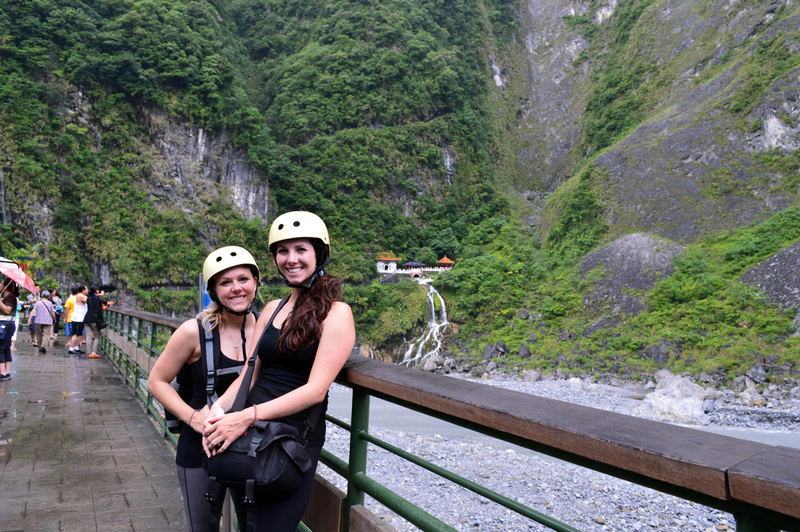 Next on the blog: When In Taroko Gorge: Budgeting and What to Expect!